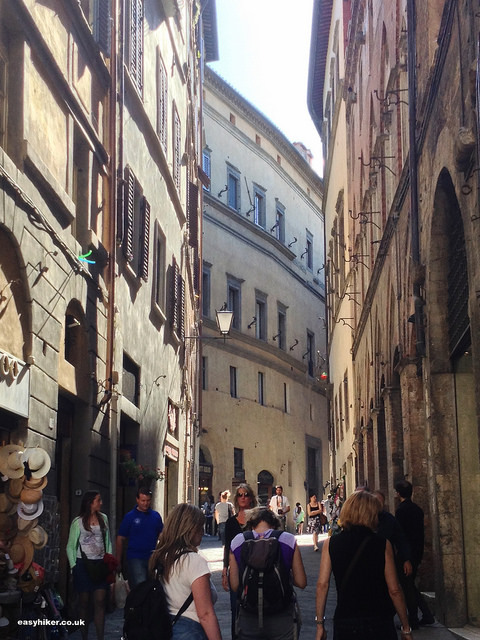 The Best Of Tuscany in a single day: it can be done, you know! 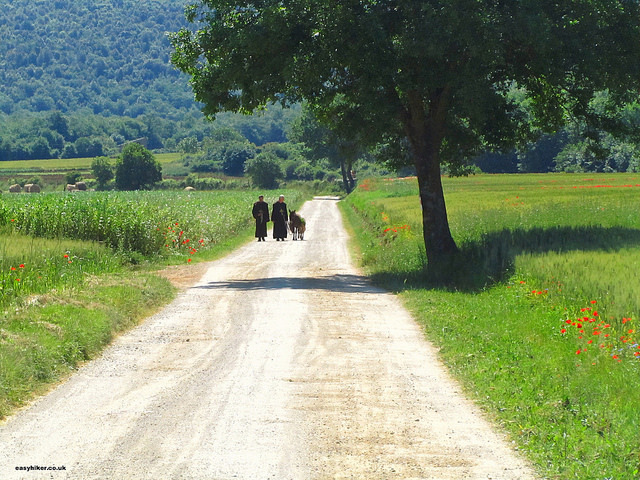 If you have neither the time for a full trip down the Via Francigena from Canterbury to Rome (a journey of 2000 km that features 80 stages and crossings of both the Channel and the Alps) nor for the three-week trek through Tuscany (the trail’s last stretch from Lucca to Rome), there are a range of easier alternatives that allow you to experience this ancient trail in all of its glory and splendour. Even if all you can fit into your schedule is a brief walk which will take you no more than a single morning. Contrary to what you may think, these “short hops” have the added advantage that, if you leave early on a day in spring or early summer, you will arrive at your destination in time for lunch – and are able to enjoy everything there is to enjoy about this blessed part of the world in a single day: the great scenery, the sunshine, the wonderful food. 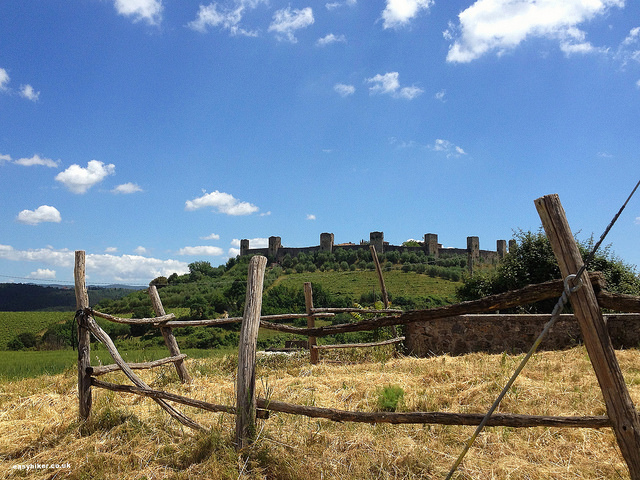 One of the best things about this particular Francigena half-stage is that you rarely loose sight of Monteriggioni Castle, just like the pilgrims who would have come down this trail for centuries on their way from the relative safety of the abbey – the “abbadia” where they would have spent the night – to reach the relative safety of the walled hilltop village. 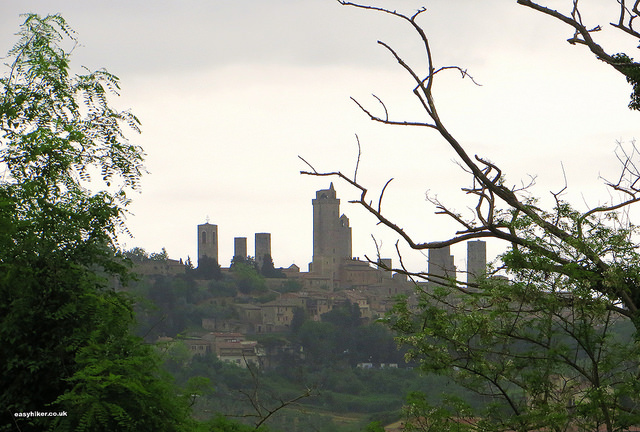 Never mind that these “ancient hikers” would not have used the same route to Monteriggioni that we are using today, and that they would not have had a view of fertile rolling hills but of a mosquito-ridden hell. Until fairly recently, the area of the grain fields on your left and right hand side … … would have been covered by swamps, and the only way around this vast expanse of wetlands would have been a narrow path around their edges. The Abbadia Isola would have been, as the name implies, an island in the middle of a malaria-infested no-go zone. 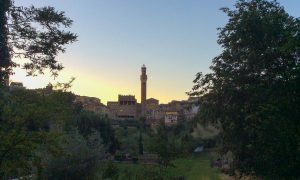 Something which would have been there, however, is the sight of the old walled town of Monteriggioni – which has stood in this place since 1214 when the Senese fortified the village against their perennial enemies from Florence. The walls of Monteriggioni – only slightly changed since the Middle Ages – were intimidating enough during their time to receive a mention in Dante’s Inferno as a metaphor for an impregnable fortress. 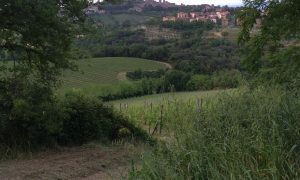 The southernmost stretch of the Francigena is defined by its vistas of Tuscan hilltop towns whose skylines seem to grow out of the green rolling hills like Brigadoon or something from Planet Of The Apes. 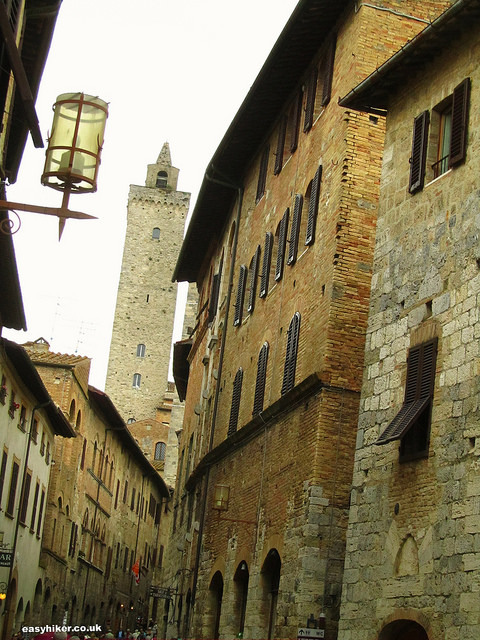 The most impressive of these hilltop towns is San Gimignano, best approached on foot – during the last kilometres of the stage from Gambassi Terme – so you can take it in gradually and understand why some people call it the “New York of the Middle Ages”. Originally, the scenery was even more impressive than it is today: only 14 towers are left of the original 72. And all of the buildings you see were built within one short period, from 1200 to 1348, which is when the Black Plague hit the town and killed off at least 50 percent of its population. For more than 500 years, the town was largely ignored by history, so when it was rediscovered by the budding tourism industry in the late 19th century, no modern activity had disfigured its ancient walls, its moment of brief medieval exuberance having been preserved like a fly in amber. 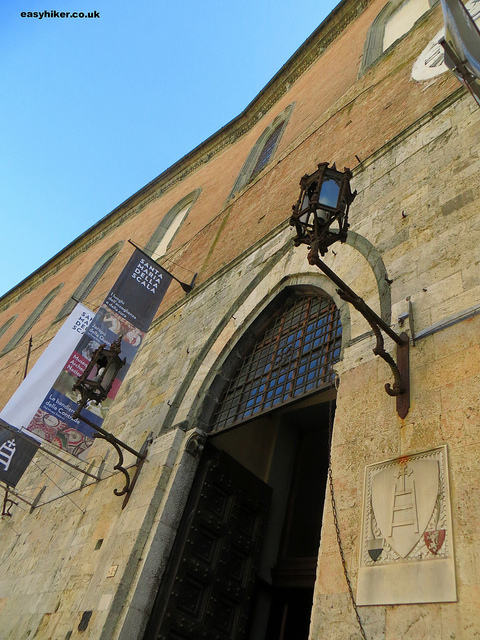 For nearly a thousand years, the 2 km stretch of the Via Francigena that cuts through the city of Siena has been the highlight of the trail. Imagine: most of the medieval pilgrims who came here from northern Europe would have been raised in smoke-filled peasant huts that were made from wood, and the cities they knew were tightly woven mazes of timber-framed hovels with an excrement-filled gutter running in the middle. 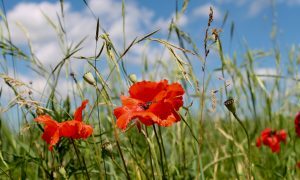 They would have left behind the northern European lowlands with their leaden skies, muddy soils and near-permanent drizzle – and were now stepping into THIS. 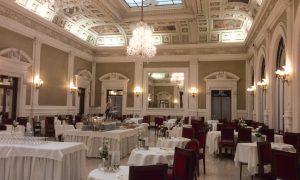 And remember: they would have been totally unprepared for this experience, with no illustrated tour guides around, no TV images and no coffee-table books on this new whatchamacallit for which some smart people had coined the term “Italian Renaissance”. 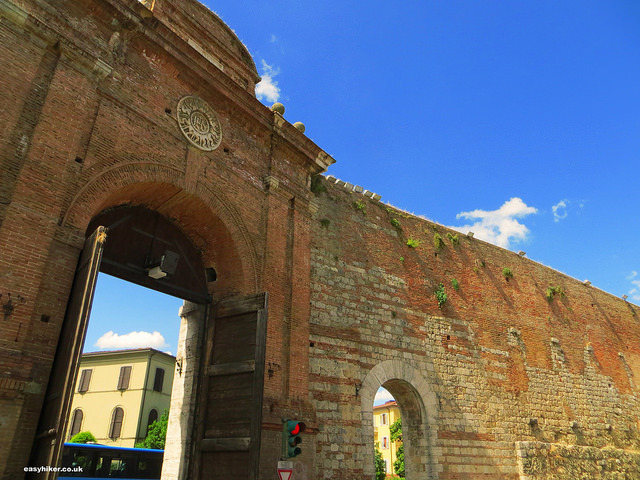 The Francigena pilgrims would have entered the city through the north gate, the mighty Porta Camollia … … and would have proceeded in southerly direction. 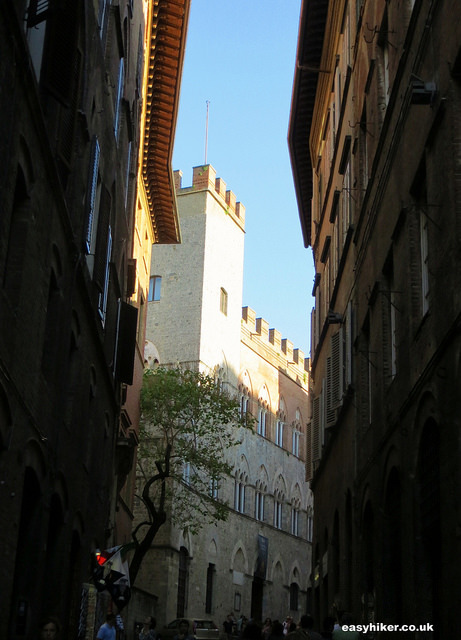 Rules that obliged the residents to maintain this road so that the pilgrims would feel welcome are among the oldest documents of medieval Siena – and show that, while Siena was an important place for the visitors, visitors have always been important to this city, too. Many inns and hostels would have been ready to receive the pilgrims, but for many, their first steps would have led them straight to Santa Maria della Scala, now a museusm but at the time the city’s hospital … … where pilgrims could receive treatment for the typical ails of a traveller, where they were fed and where they could perhaps work for a couple of weeks as hospital porters or carers, earning themselves a little money that would sustain them for the remainder of their journey. 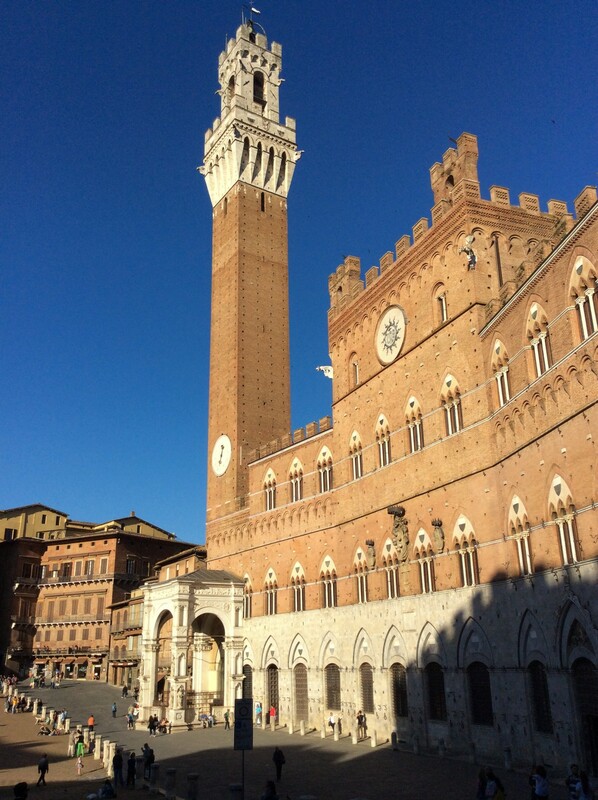 In more recent times, Siena has learned to address the needs of the modern traveller with a similar degree of dedication, and there are few places in Tuscany where you will find a similar number of excellent cafés, restaurant and sweet shops. 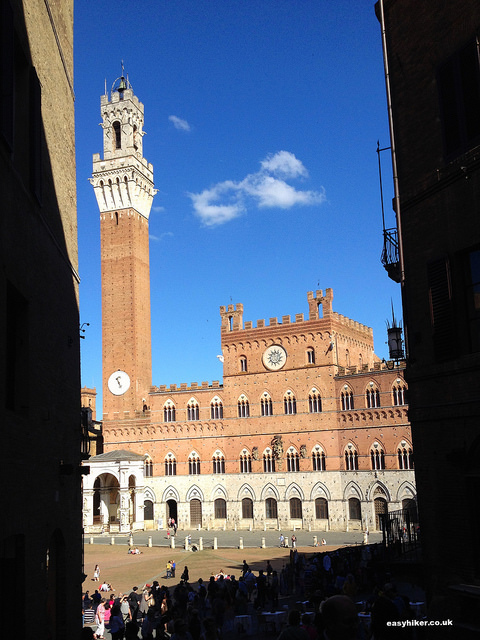 It has always been – and still is – the jewel in the crown of the Francigena.